Buying a business van can be a daunting task, especially when you have just started a new firm. You need a Van with a Plan; otherwise, you will end up losing a good amount of money, which is the last thing you want. 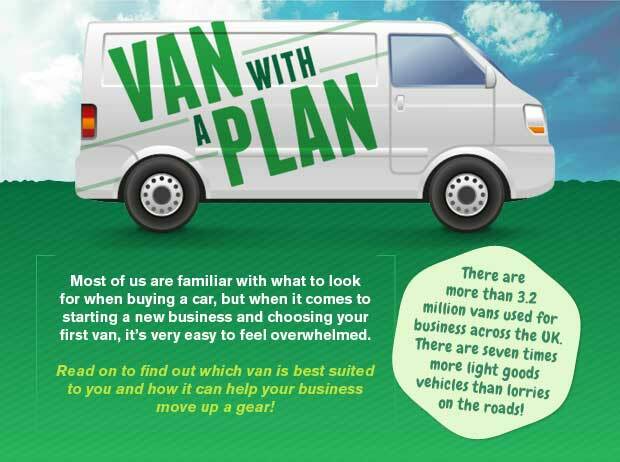 Van Monster has developed an informative infographic which describes all the ins and outs about buying business vans. The first thing to look into is to determine what will your van be carrying? For that you must have good understanding of a van’s weight and its carrying capabilities. Once you ascertain this fact, it’s time to decide what type of van suits you. Do you need a small van, medium van or large van? This would largely depend on your business needs, so explore the infographic for more details about it. As a business owner, you must also know the cost of van ownership. Once you pick the best van for your business, it’s time to know what national insurance and reporting obligations you have. Additionally, there are driving and maintenance costs, which cannot be neglected. To get in-depth details on all these factors, check the full infographic.